Day 125. 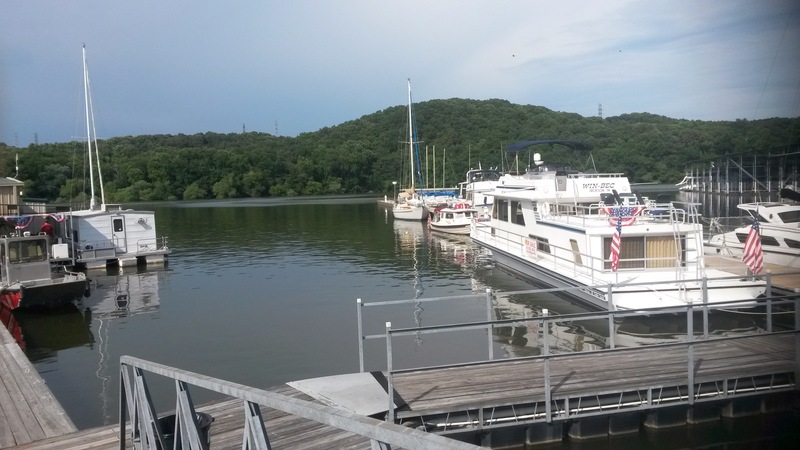 Pebble Isle Marina, New Johnsonville, Tn. We had an easy 25 mile leg South on pretty Kentucky Lake from Paris Landing to New Johnsonville. 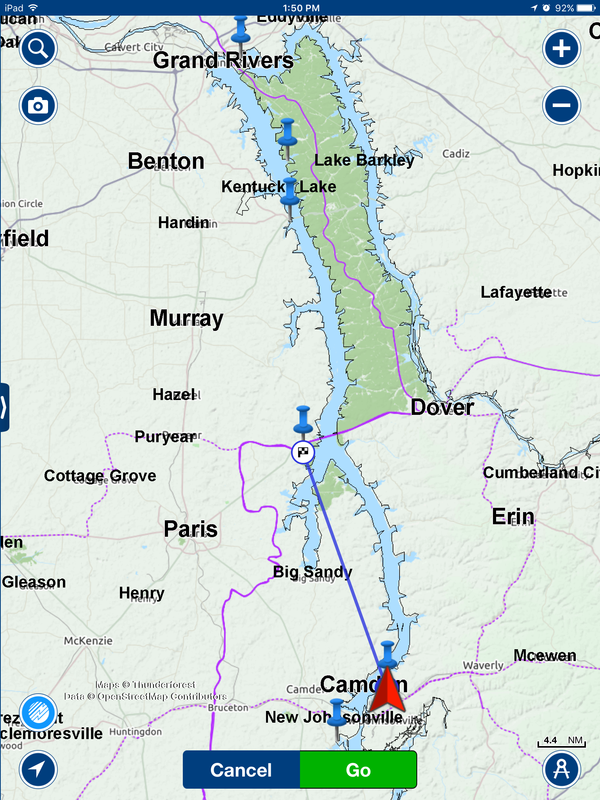 You can see where we entered Kentucky Lake at the top of the map near Grand Rivers a week ago. Gracie has had a four day rest so she was happy to be on the move again as were we. Pebble Isle Marina is on an attractive bay off the Lake with a narrow entrance and the facility features a floating restaurant. We are about 120 miles East of the Mississippi running South and parallel with it. All the books and local advisors tell us that our route in the Tennessee and Tombigbee valleys is much more scenic than the Mississippi. Less tug and barge tows too! 1 Response to Day 125. Pebble Isle Marina, New Johnsonville, Tn. I hope you get to enjoy their freshly made cinnamon rolls and meet Billie.